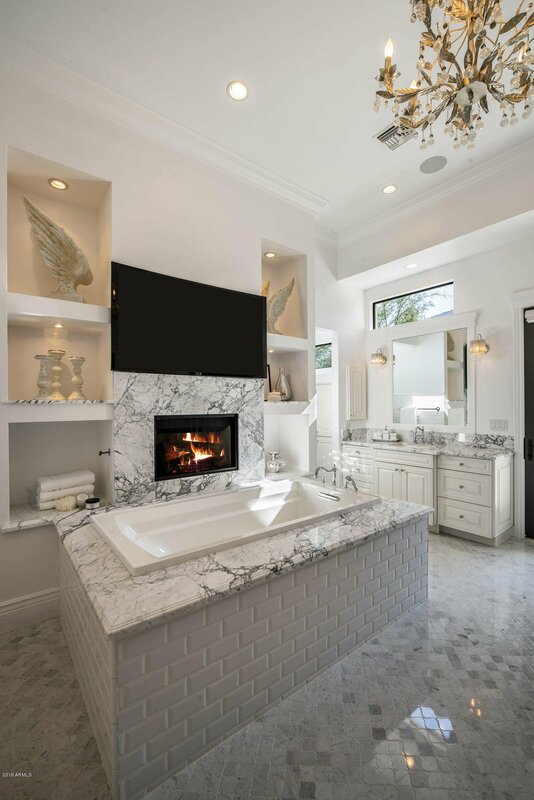 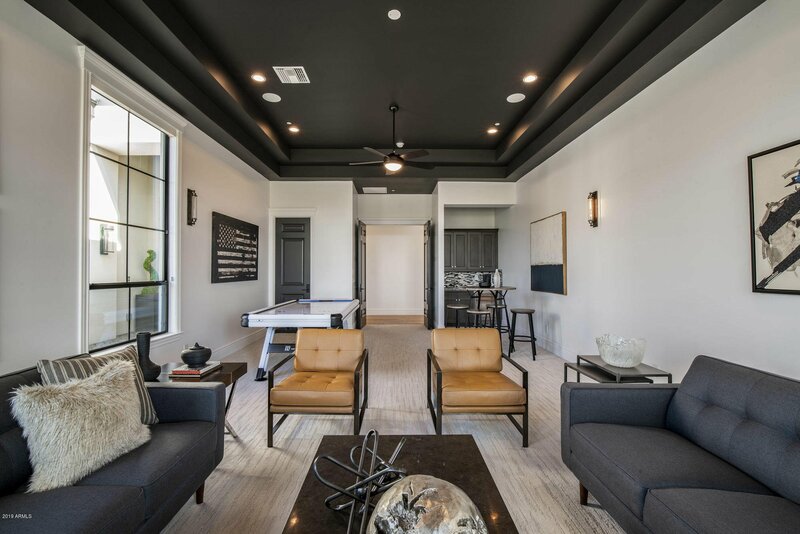 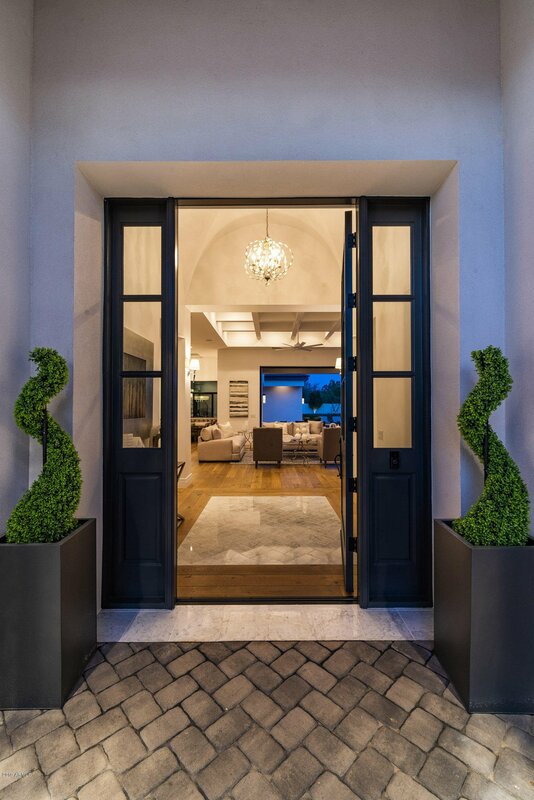 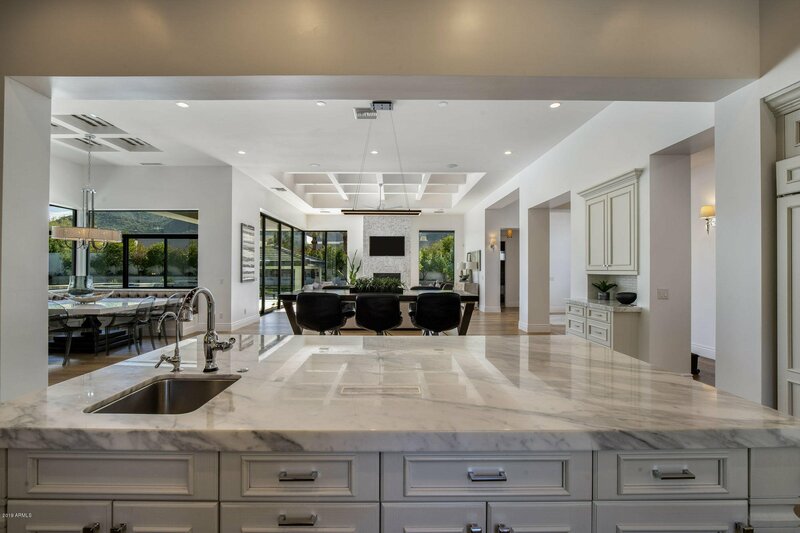 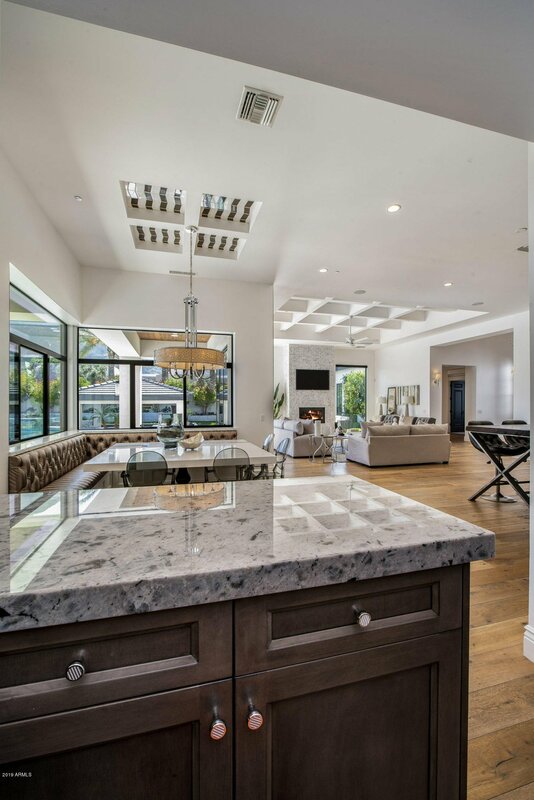 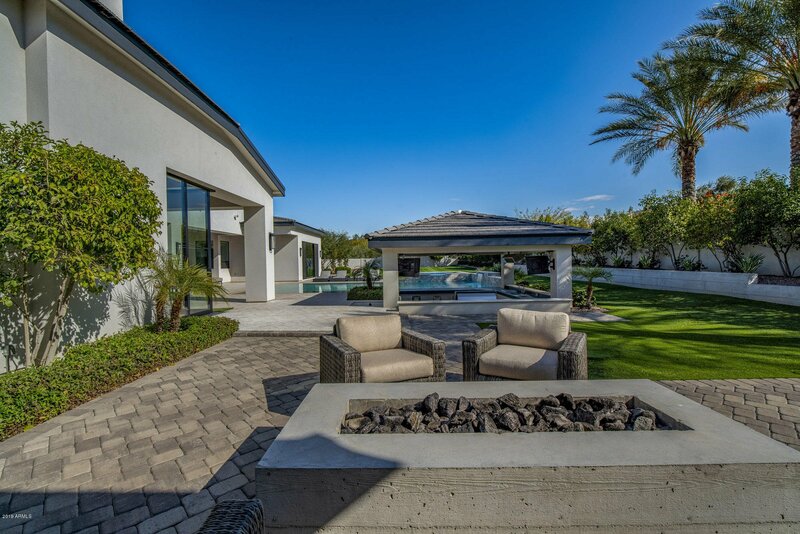 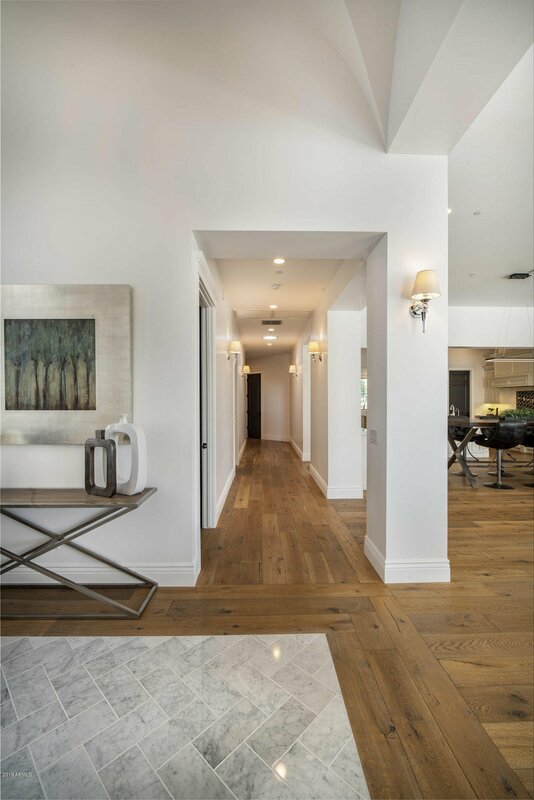 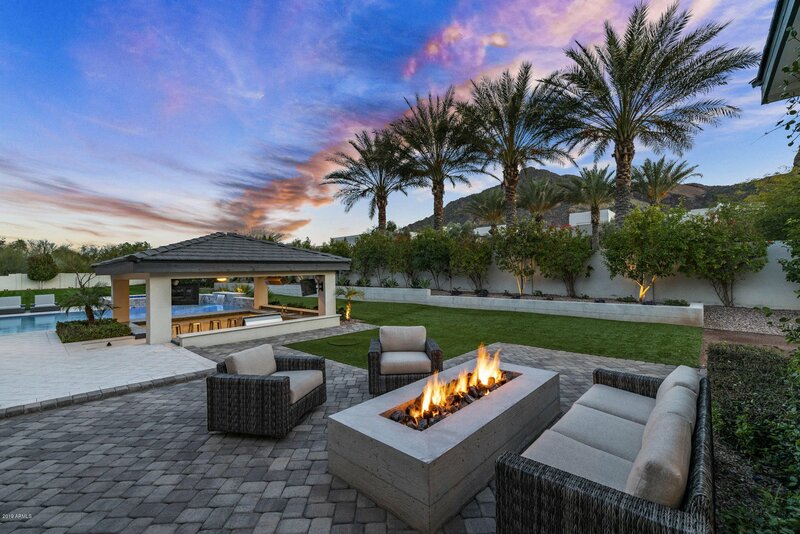 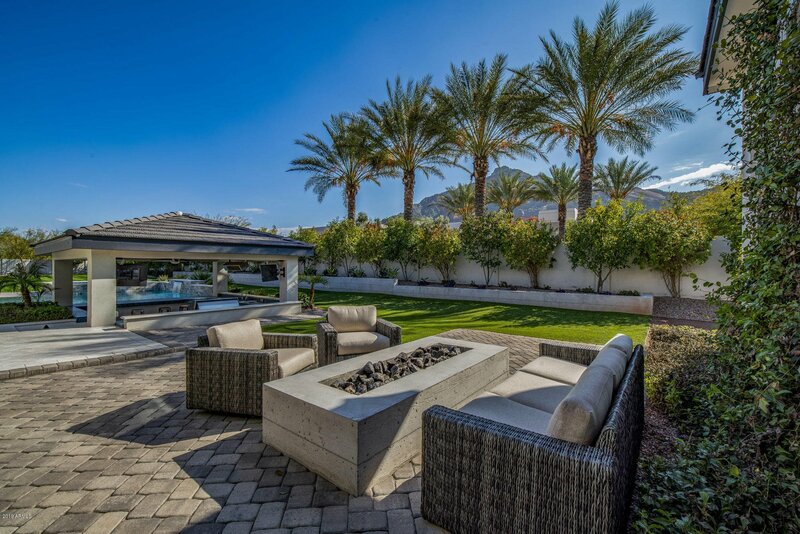 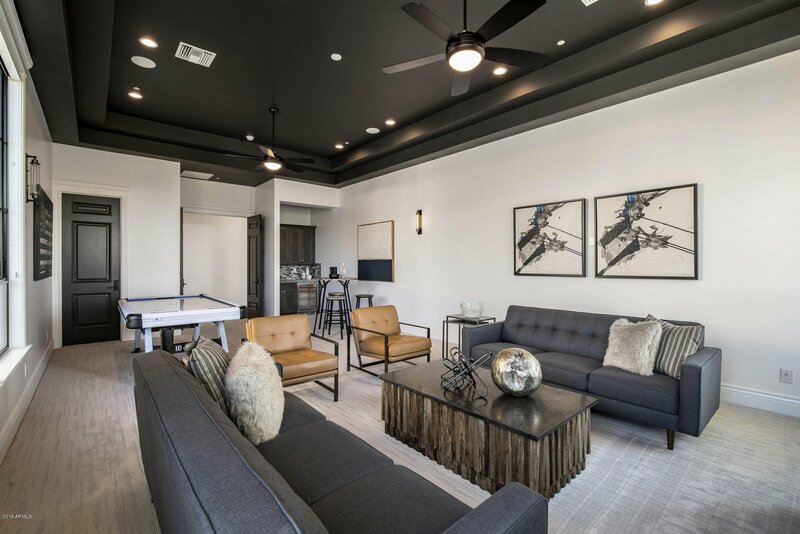 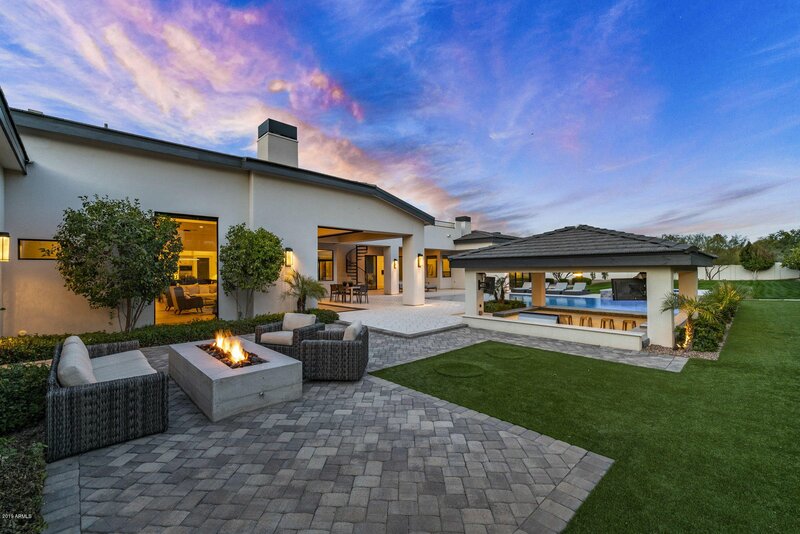 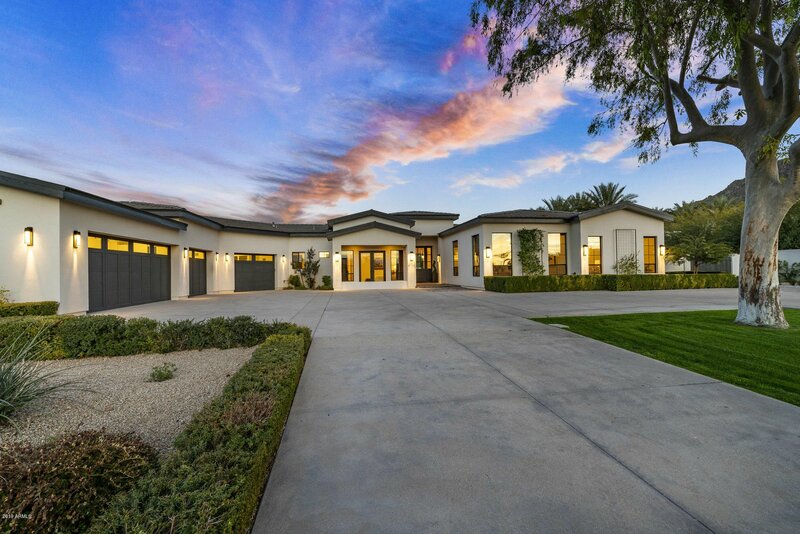 As you drive down one of Paradise Valleys most coveted private streets, you arrive at this beautifully constructed transitional modern masterpiece custom built by Green Street Communities. 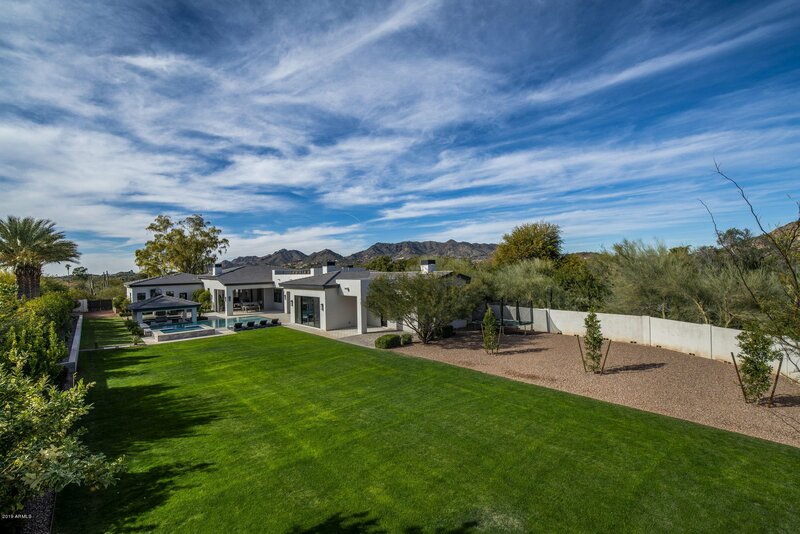 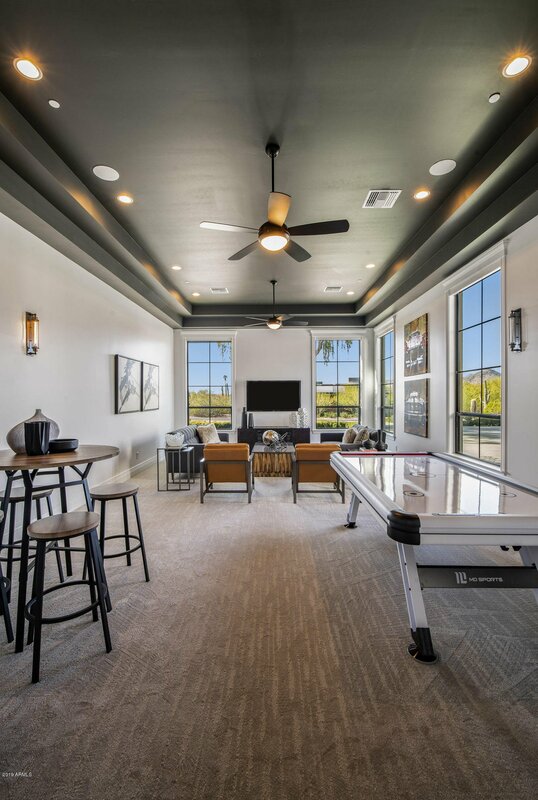 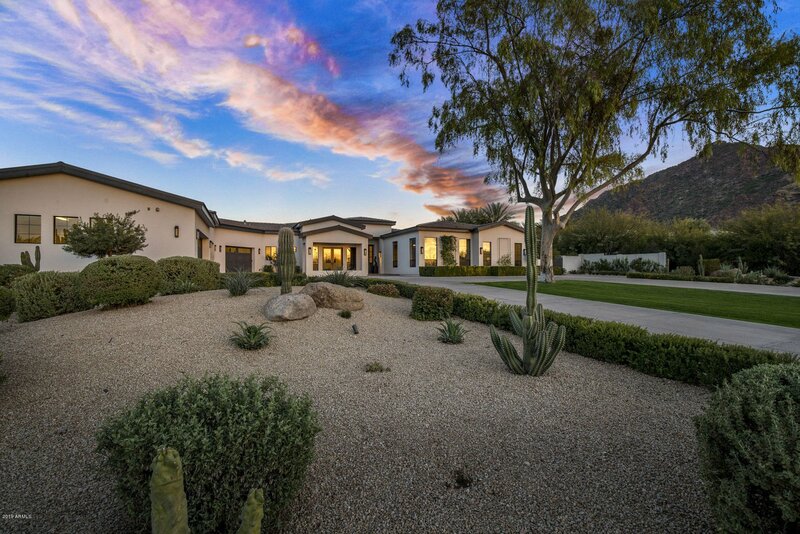 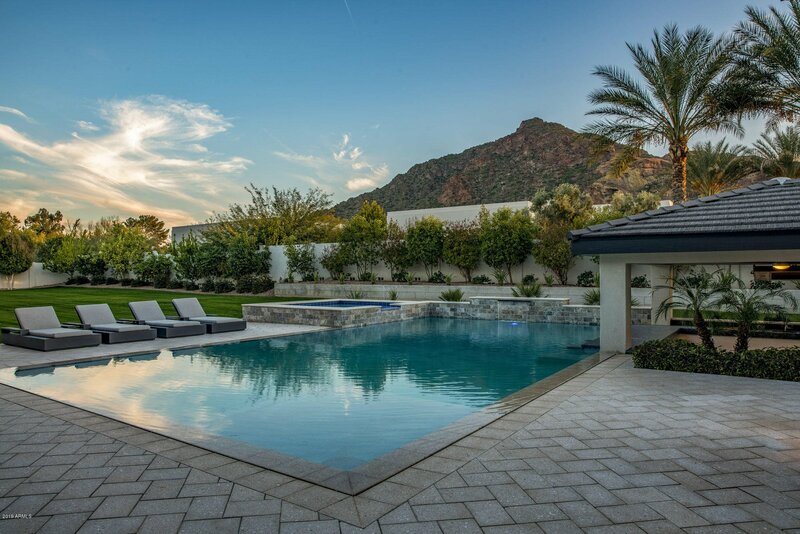 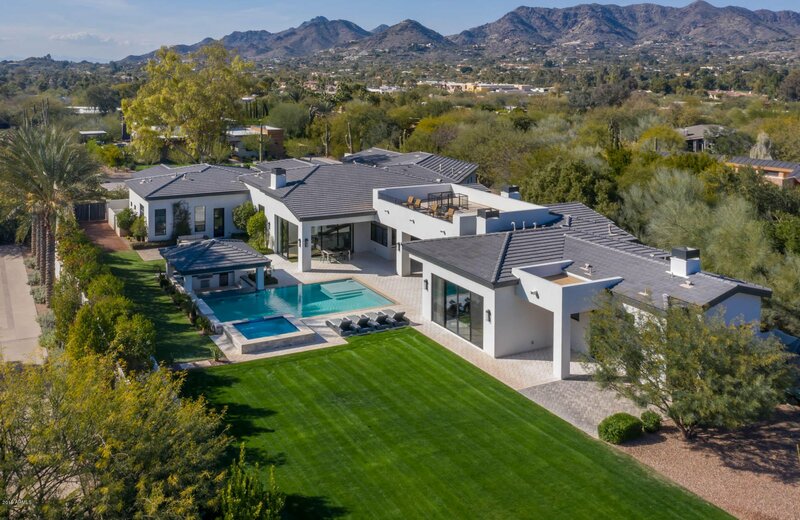 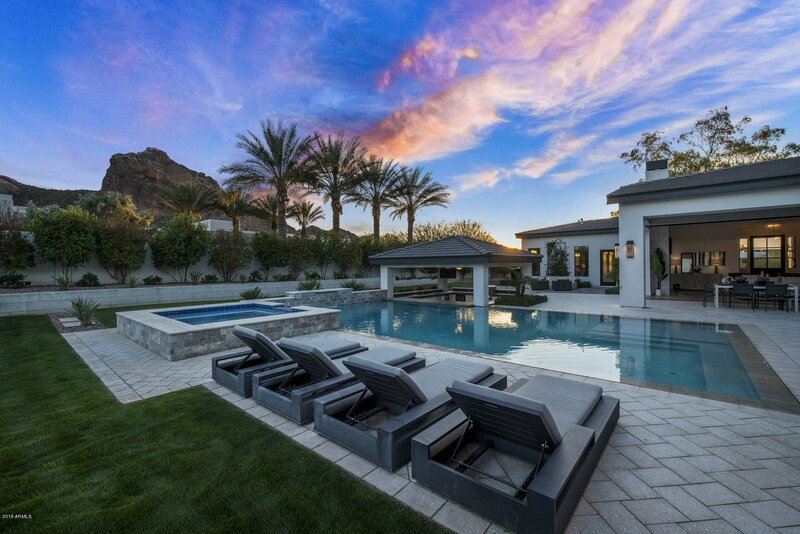 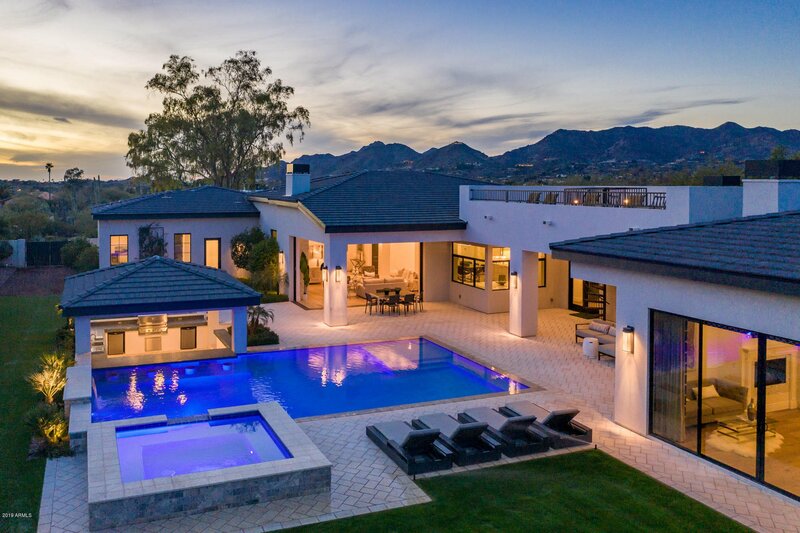 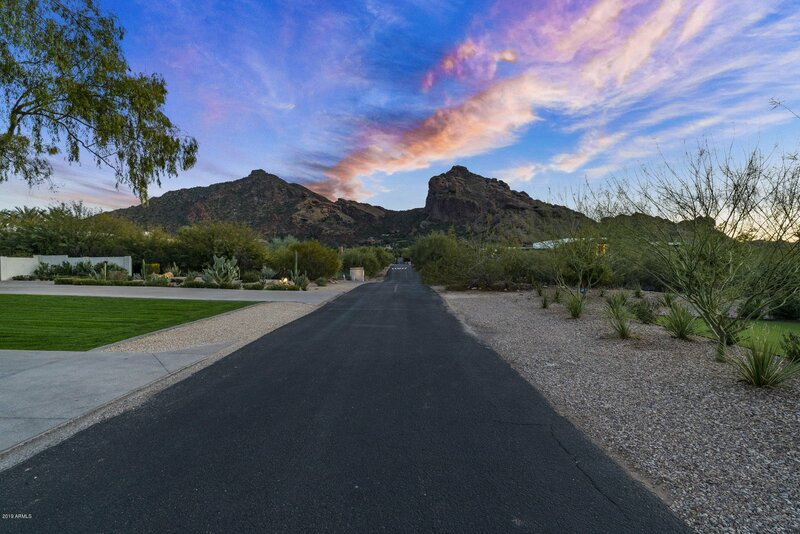 You are immediately welcomed by a simple and sophisticated architectural style embraced by a postcard backdrop of both Camelback (to the south) and Mummy Mountain (to the north). 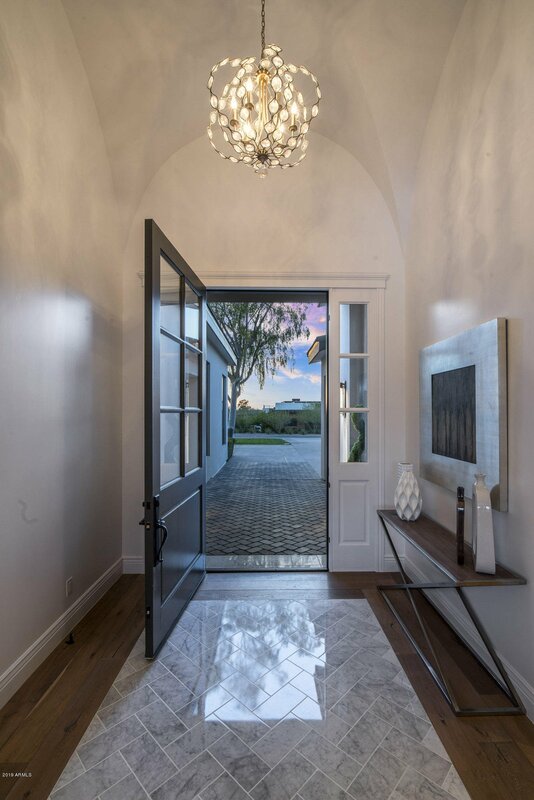 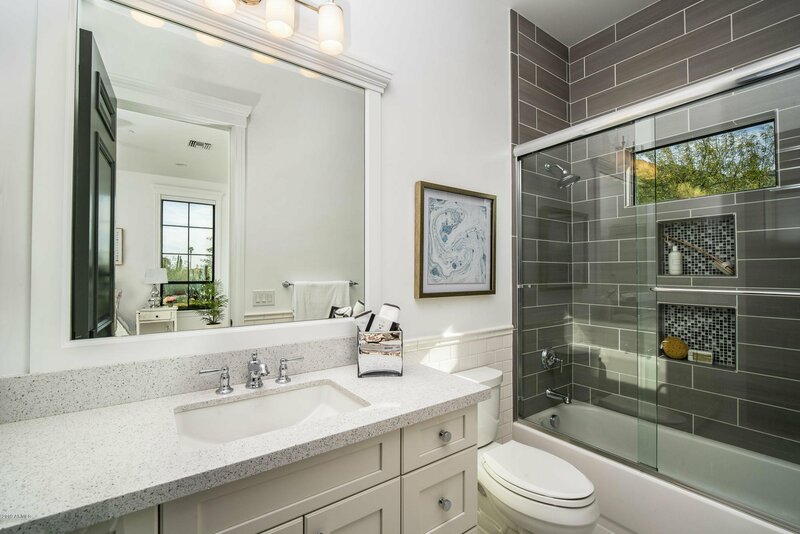 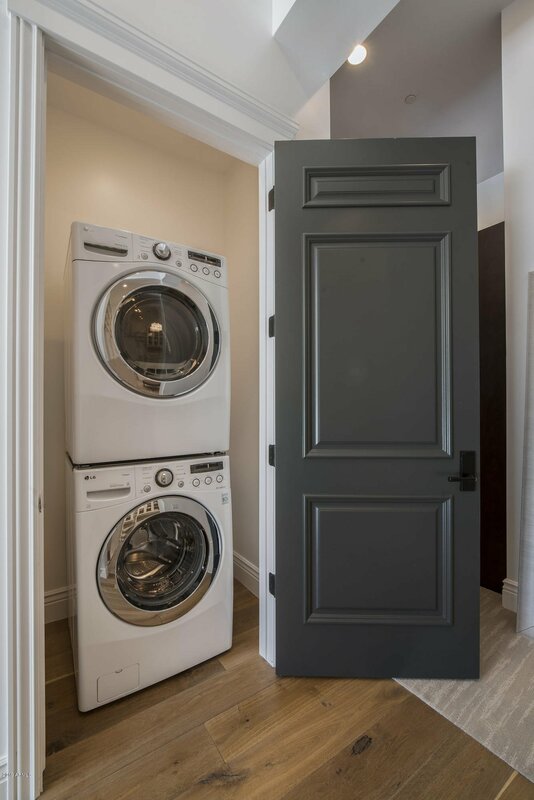 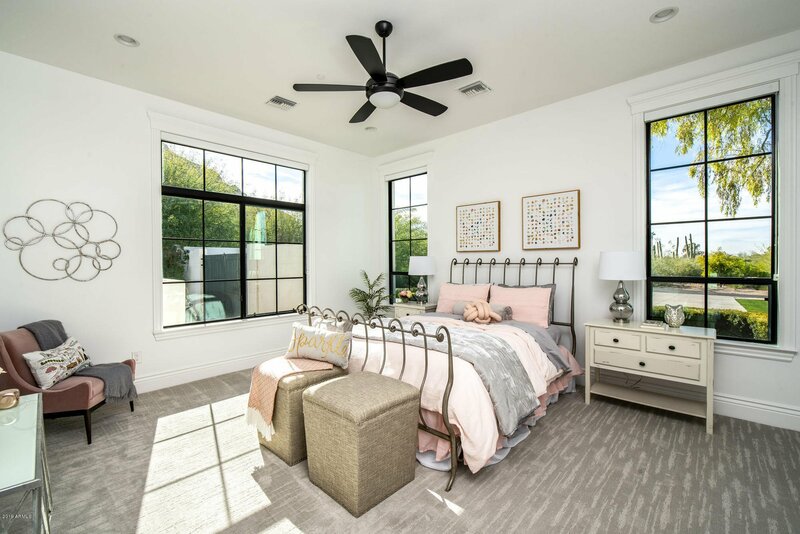 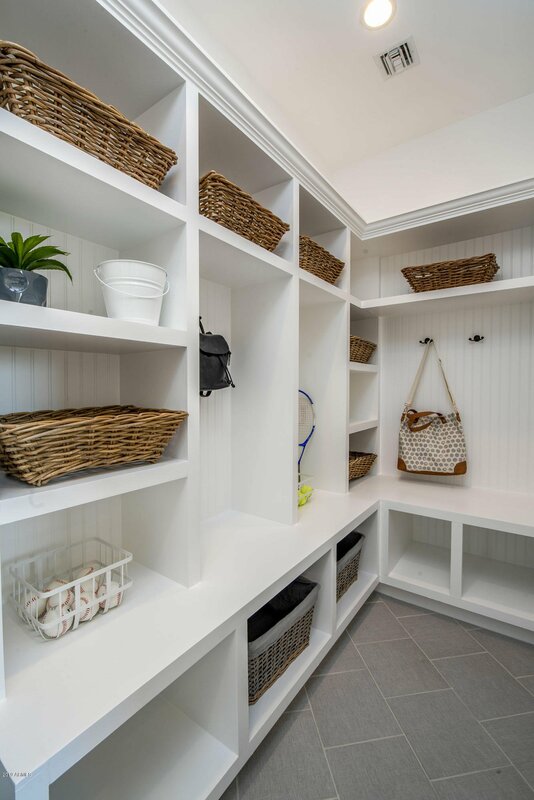 As the door swings open, you will feel the rush of natural light that fills the open spaces and if you're lucky the walls of sliding glass doors will be open so you can feel the warm winter air float through the room. 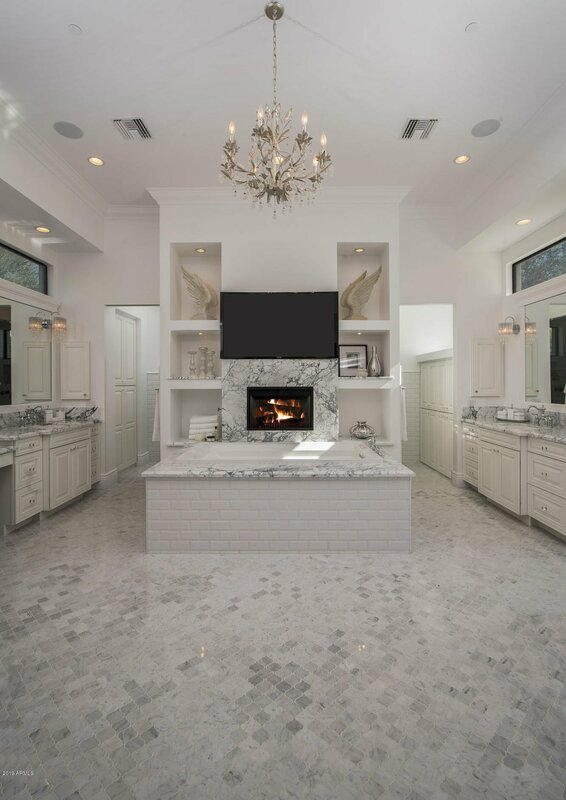 A crisp, fresh white on gray design palette is thoughtfully on display as it wraps 4 bedrooms, 6 baths, a large media/game room, an office/study designed for the most deserving executive, formal and informal dining, bar, 600+ bottle temperature controlled wine storage/display, a kitchen outfitted for a chef. 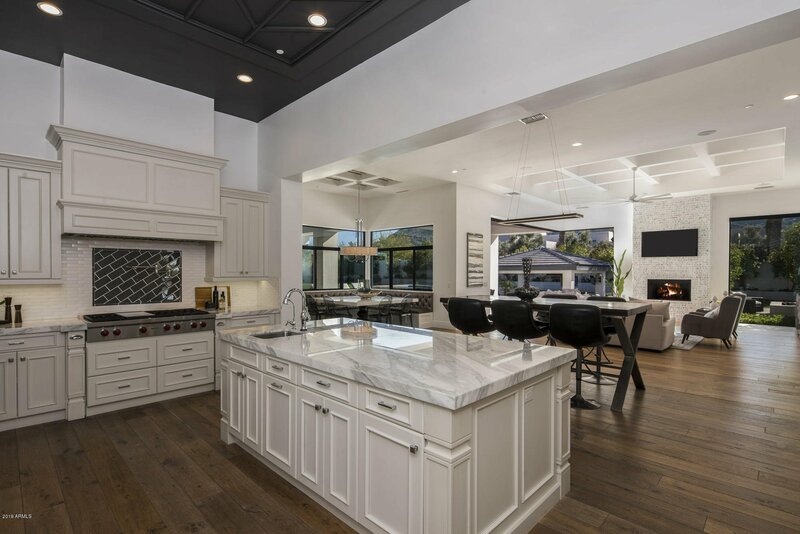 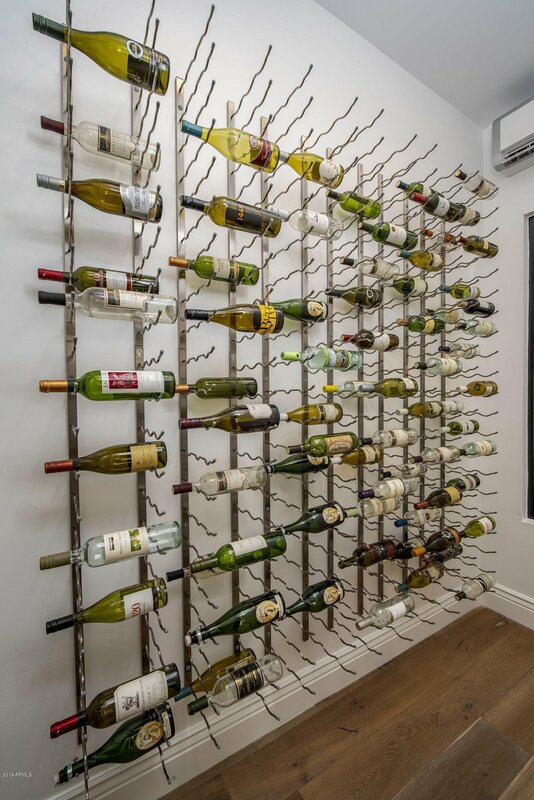 High end appliances (Wolf, Sub Zero, Miele, and more). 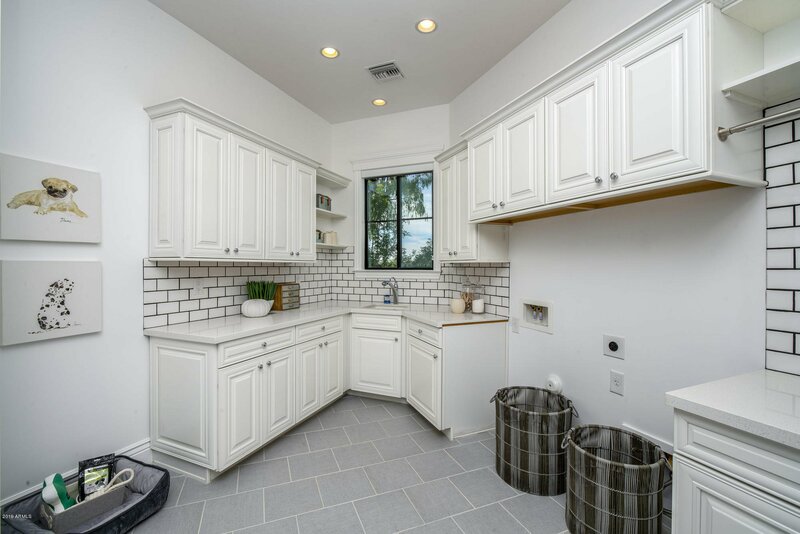 Two dishwashers and two laundry areas make daily life very efficient. 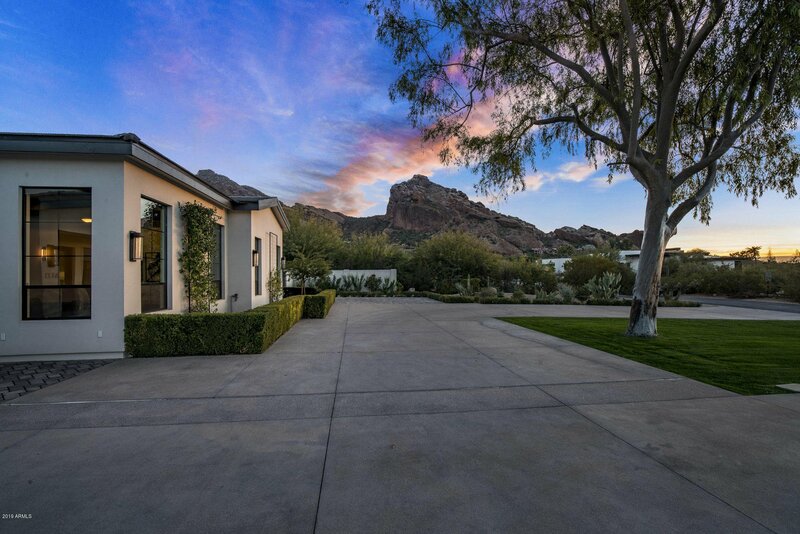 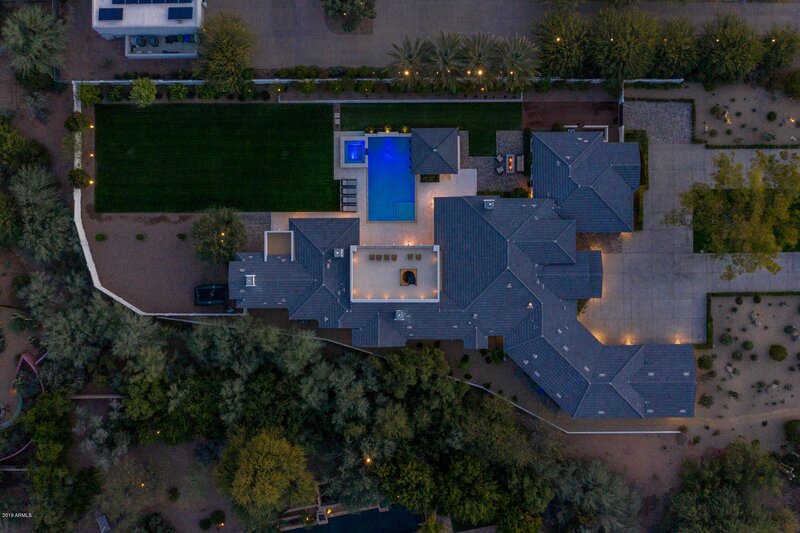 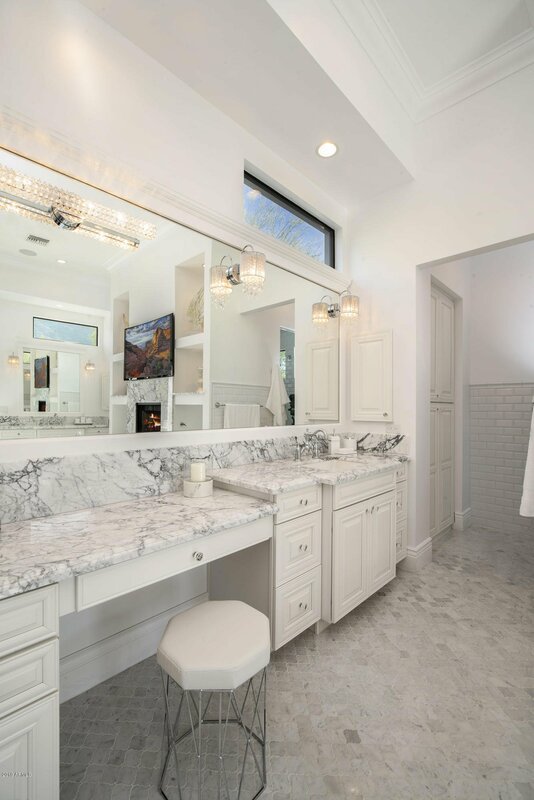 The linear nature of the architecture is such that as you move through the house, you will see Camelback mountain from absolutely every angle. 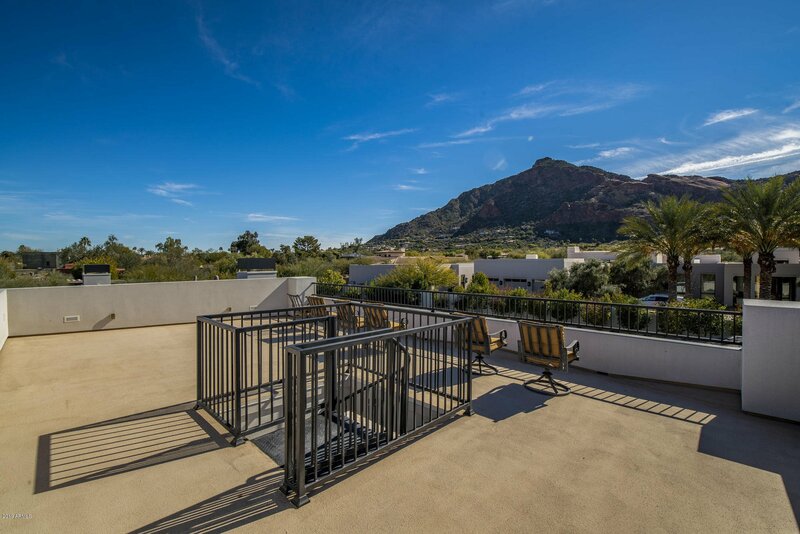 to include a sunset and city view, climb the spiral staircase to the rooftop deck and be blown away. 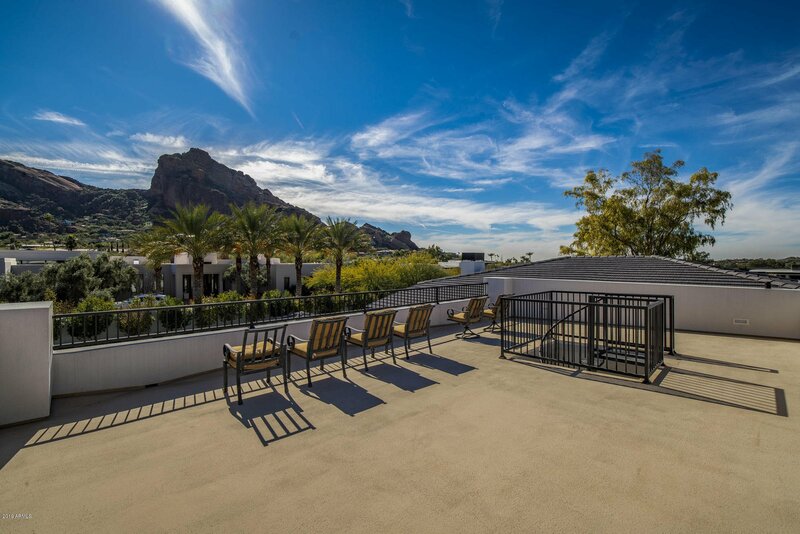 As you draw closer to the view you'll realize you're in a yard space that feels duplicated from a 5-star resort. 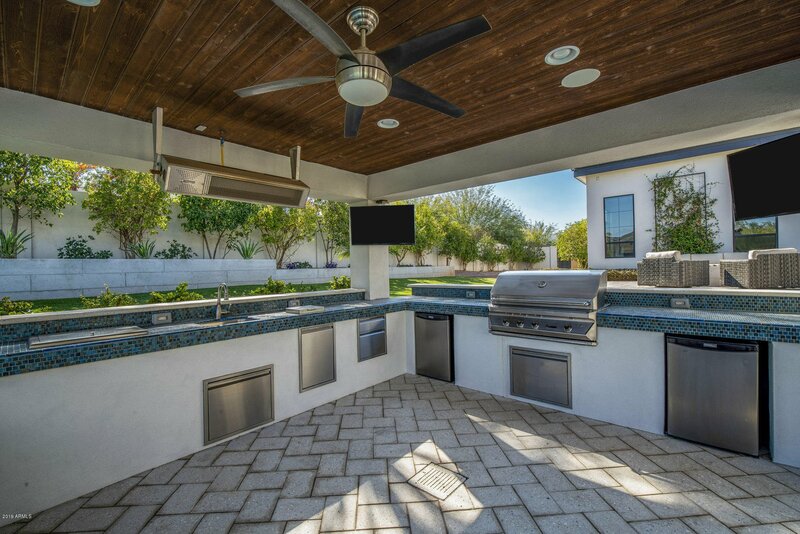 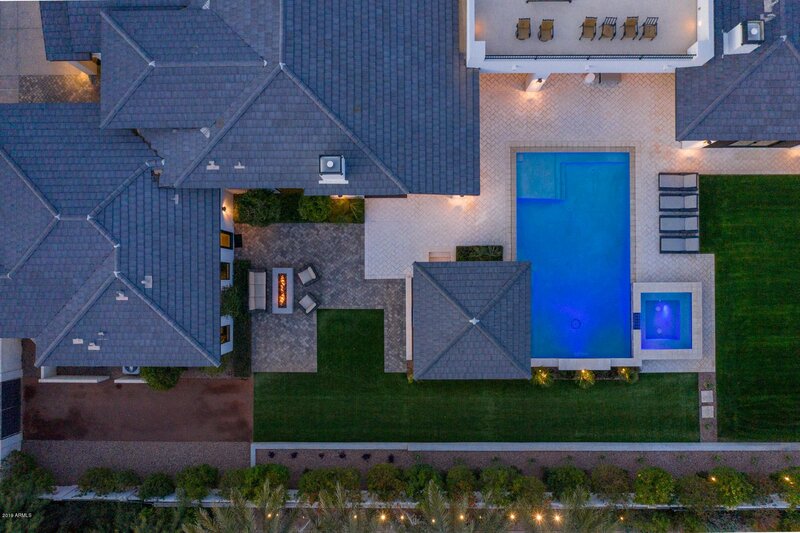 Large pool, rarely found spa, sunken gazebo with swim up bar, outdoor kitchen, TVs, and huge grass play area for children, grandchildren, dogs, or to work on your short game. 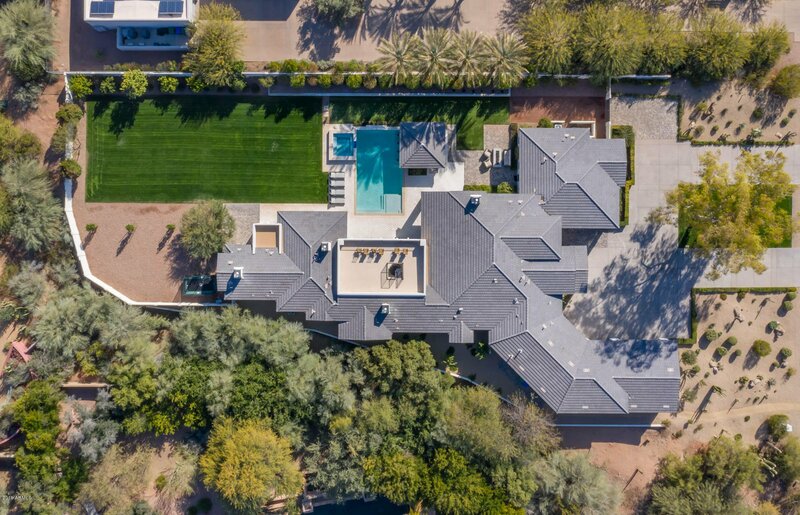 Of course the home has an over sized four car garage leaves storage for all of your vehicles and holiday decorations. 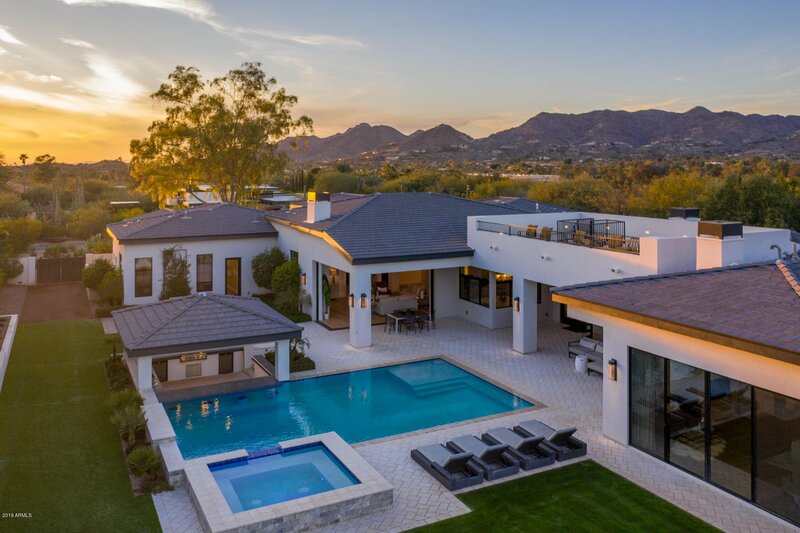 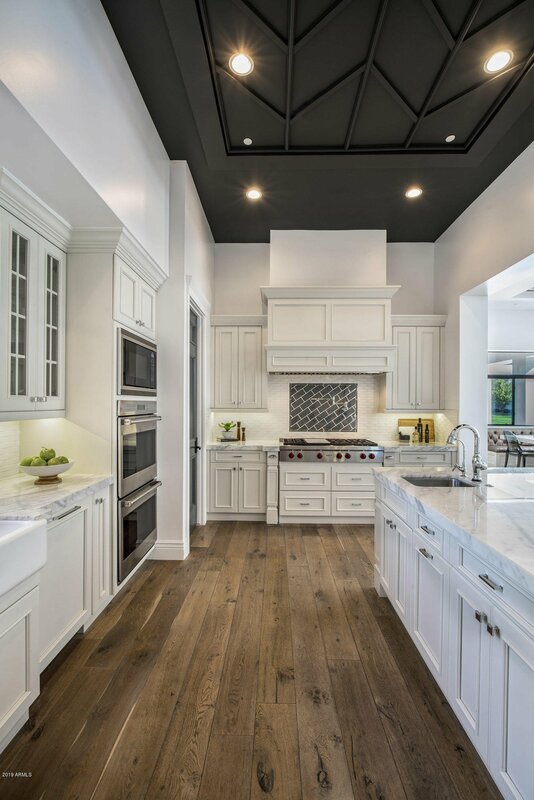 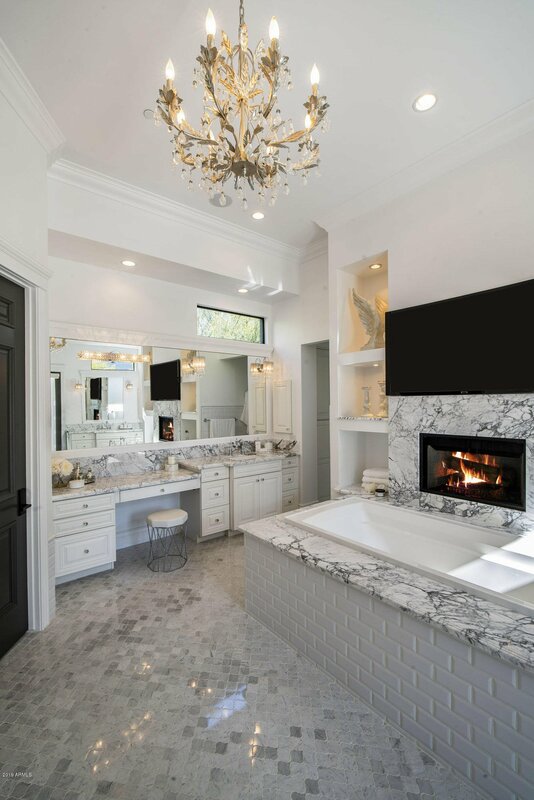 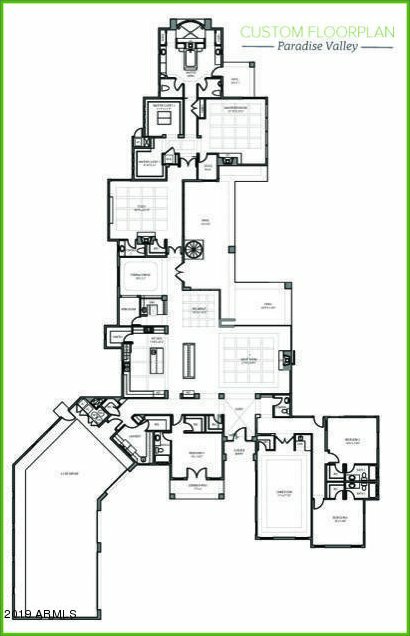 For the combination of a warm, inviting home, with elegant designer features, a location that cannot be duplicated, and views for those who deserve the best, look no further.